David Robert Joseph Beckham is an English former professional footballer. 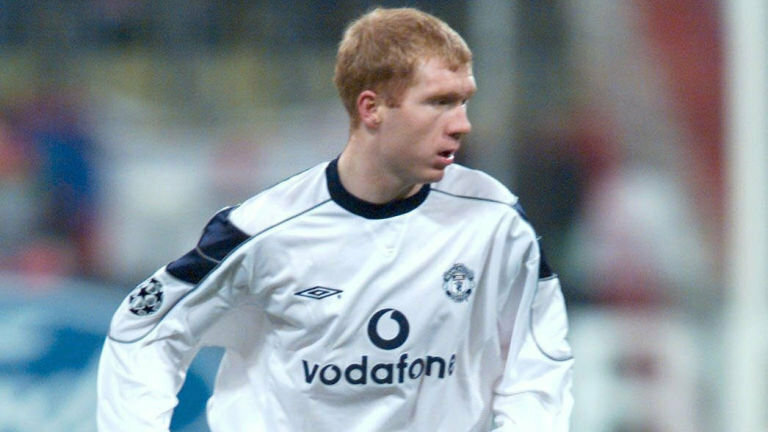 He played for Manchester United, Preston North End, Real Madrid, Milan, LA Galaxy, Paris Saint-Germain, and the England national team for which he held the appearance record for an outfield player until 2016 when Wayne Rooney surpassed his total. He is the first English player to win league titles in four countries: England, Spain, the United States and France. He announced his retirement in May 2013 after a 20-year career, during which he won 19 major trophies. Known for his range of passing, crossing ability and bending free-kicks as a right winger, Beckham was runner up in the Ballon d’Or, twice runner-up for FIFA World Player of the Year and in 2004 he was named by Pelé in the FIFA 100 list of the world’s greatest living players. He was inducted into the English Football Hall of Fame in 2008. 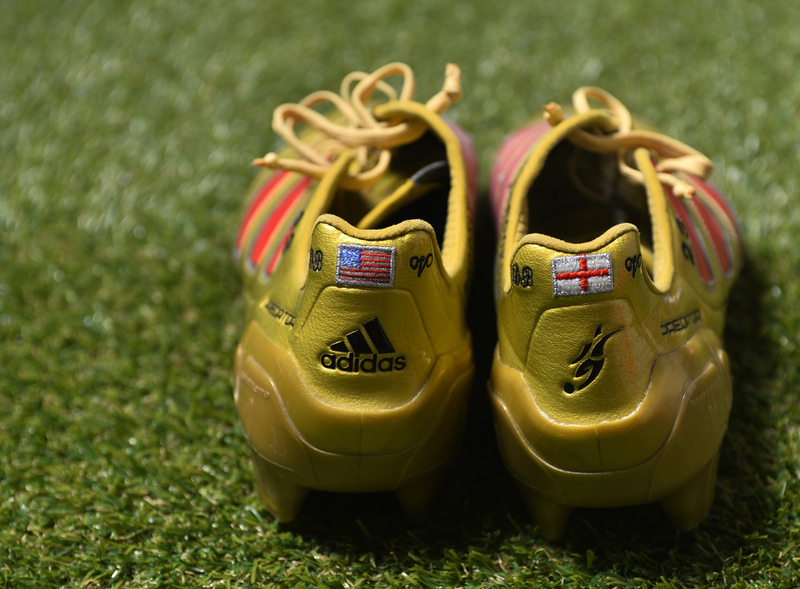 A global ambassador for the sport, Beckham is regarded as a British cultural icon. 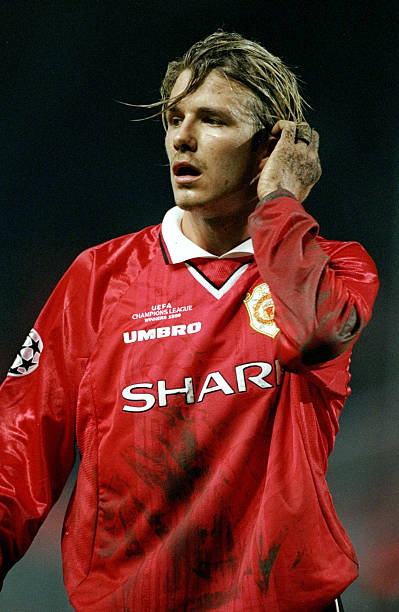 Beckham’s professional club career began with Manchester United, where he made his first-team debut in 1992 aged 17. With United, he won the Premier League title six times, the FA Cup twice, and the UEFA Champions League in 1999. He then played four seasons with Real Madrid, winning the La Liga championship in his final season with the club. In July 2007 Beckham signed a five-year contract with Major League Soccer club LA Galaxy. While a Galaxy player, he spent two loan spells in Italy with Milan in 2009 and 2010. He was the first British footballer to play 100 UEFA Champions League games. 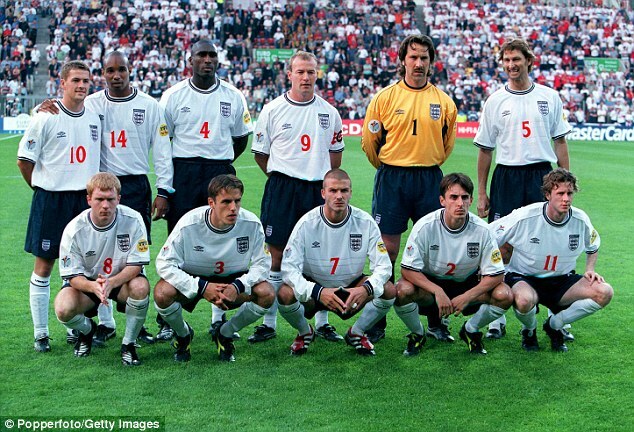 In international football, Beckham made his England debut on 1 September 1996 at the age of 21. He was captain for six years, earning 58 caps during his tenure. He made 115 career appearances in total, appearing at three FIFA World Cup tournaments, in 1998, 2002 and 2006, and two UEFA European Championship tournaments, in 2000 and 2004. On 20 March 2008, Beckham was recalled to the England squad by new coach and former manager at Real Madrid, Fabio Capello for the friendly against France in Paris on 26 March. Beckham became only the fifth Englishman to win 100 caps. Capello had hinted on 25 March 2008 that Beckham had a long-term future in his side ahead of crucial qualifiers for the 2010 World Cup. On 11 May 2008, Capello included an in-form Beckham in his 31-man England squad to face the United States at Wembley Stadium on 28 May before the away fixture with Trinidad and Tobago on 1 June. Beckham was honoured before the match by receiving an honorary gold cap representing his 100th cap from Bobby Charlton, and was given a standing ovation from the crowd. He played well and assisted John Terry on the match-winning goal. 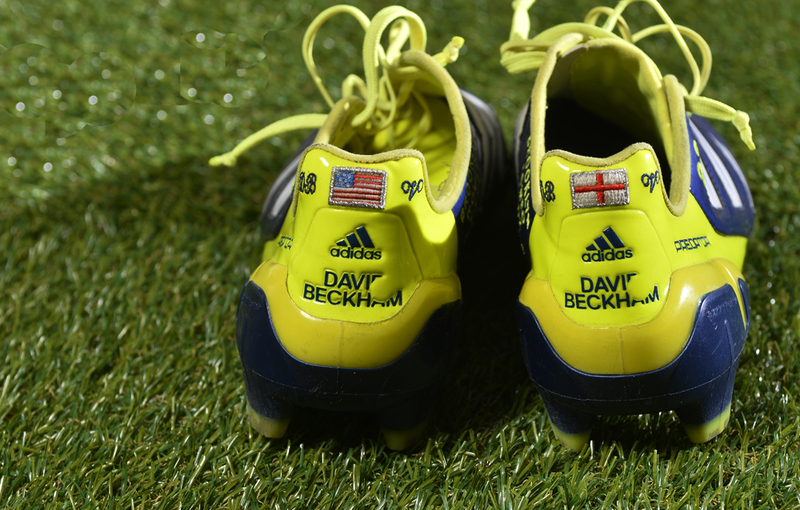 When substituted at half-time for David Bentley, the pro-Beckham crowd booed the decision. In a surprise move, Capello handed Beckham the captaincy for England’s friendly against Trinidad and Tobago on 1 June 2008. The match was the first time since the 2006 World Cup that Beckham had skippered England and marked a dramatic turnaround for Beckham. In two years, he had gone from being dropped completely from the England squad to being reinstated (though temporarily) as England captain. 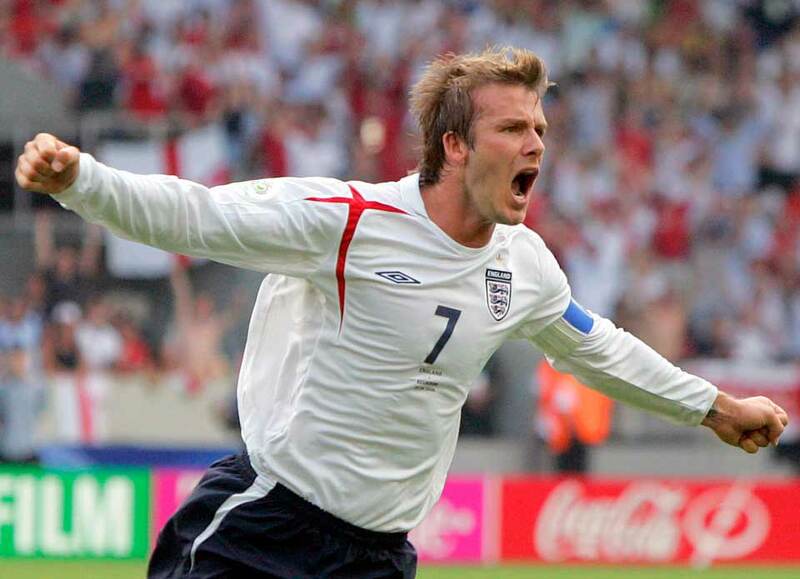 During the 2010 World Cup Qualifier against Belarus in which England won 3–1 in Minsk, Beckham came off the bench in the 87th minute to earn his 107th cap making him England’s third-most-capped player in history, overtaking Bobby Charlton in the process. 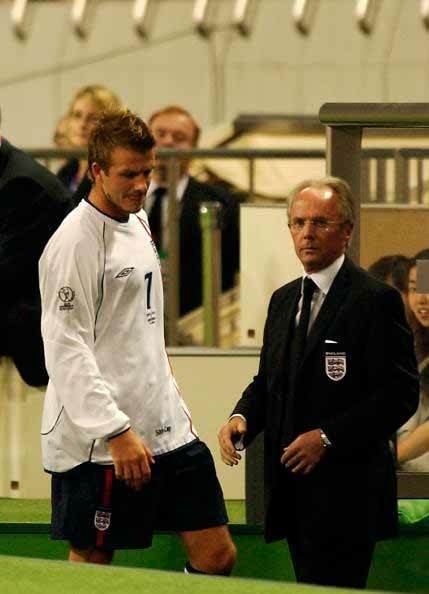 On 11 February 2009, Beckham drew level with Bobby Moore’s record of 108 caps for an English outfield player, coming on as a substitute for Stewart Downing in a friendly match against Spain. 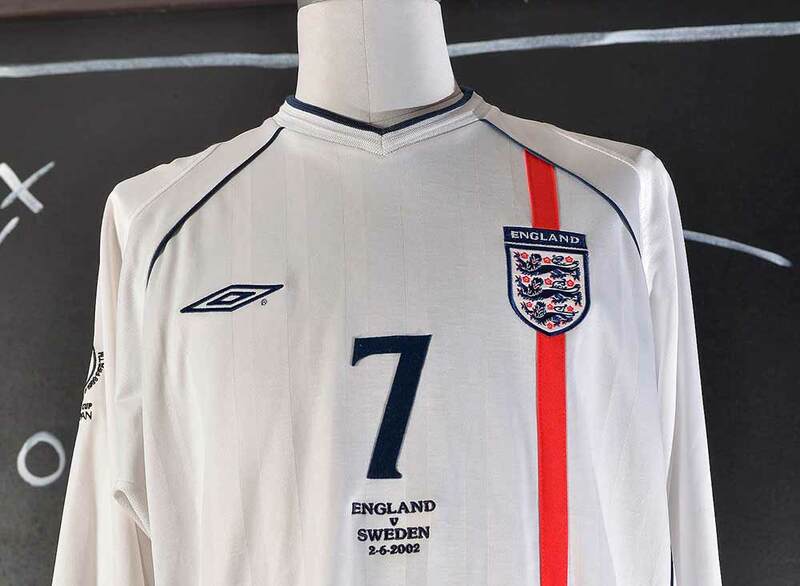 On 28 March 2009, Beckham surpassed Moore to hold the record outright when he came on as a substitute in a friendly against Slovakia, providing the assist for a goal from Wayne Rooney in the process. In all, Beckham had made 16 appearances out of a possible 20 for England under Capello until his ruptured Achilles tendon of March 2010 ruled him out of selection for the 2010 FIFA World Cup in South Africa. His last game for England before injury had been on 14 October 2009 as a substitute in England’s last World Cup qualifying game, which ended England 3 – 0 Belarus. On 11 August 2010, with Beckham still unavailable for selection but aiming for a return to playing in MLS by the following month. In the post-match interview, Capello said of the prospect of the now 35-year-old Beckham playing any future competitive matches for England, that “I need to change it. David is a fantastic player but I think we need new players for the future”. 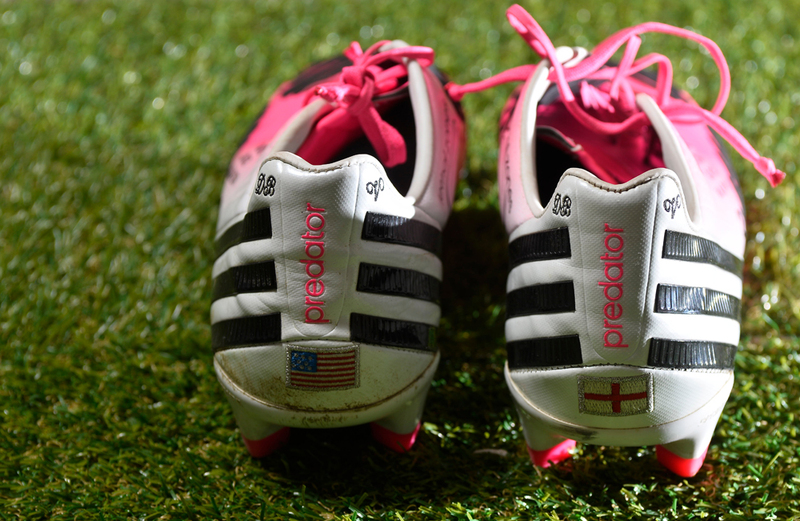 Beckham remains 10 caps short of the record number of 125 caps by goalkeeper Peter Shilton, for a player of any position. Beckham was named in the provisional squad to represent the Great Britain Olympic football team at the 2012 Olympics. He was not included in the final selection by manager Stuart Pearce. Beckham’s involvement with Major League Soccer (MLS) began while he was still a Real Madrid player when it was confirmed on 11 January 2007 that he would be leaving Madrid in six months to join MLS side LA Galaxy. The speculation about his new contract in Madrid was thus put to an end and the following day Beckham’s official press conference was held in conjunction with the 2007 MLS SuperDraft. The announcement made top news all across the globe. Though many worldwide media outlets reported the deal to be worth US$250 million, the astronomical figure was soon revealed to be something of a PR stunt engineered by Beckham’s media handlers (British representative agency 19 Entertainment). To maximise the media effect, in the press release they decided to list the potential sum that Beckham could make over the five-year period from all his revenue sources, which in addition to his Galaxy pay also include his personal endorsements. 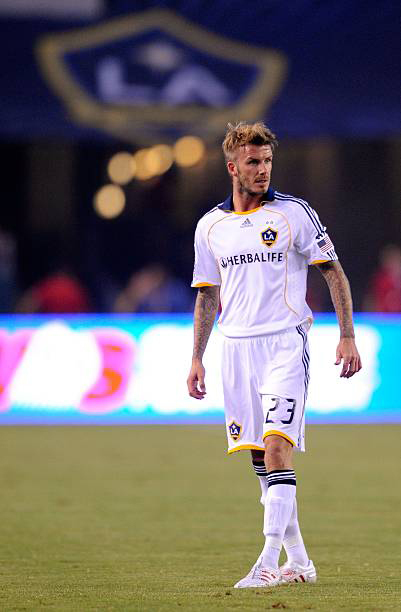 Beckham’s actual deal with the Galaxy was a five-year contract worth US$32.5 million in total or $6.5 million per year. 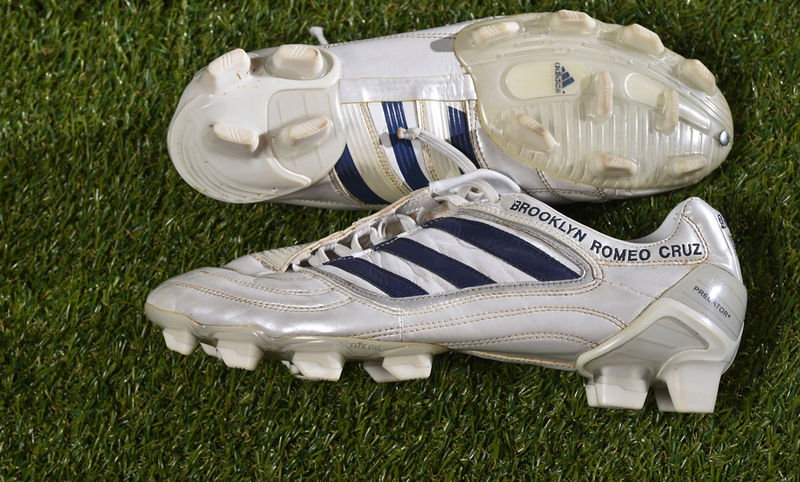 The high-profile acquisition paid immediate financial dividends for Galaxy long before Beckham joined the team. On the strength of the signing and the media frenzy it created, the club was able to pull off a new five-year shirt sponsorship deal with Herbalife nutrition company worth US$20 million. The gate revenue peaked as well with 11,000 new season tickets holders and sold-out luxury suites (each one of the 42 inside the team’s home ground, the Home Depot Center). Even the LA Galaxy owners Anschutz Entertainment Group (AEG) saw an immediate spike in business. Involved on many business fronts worldwide, AEG was already leveraging its Beckham association in places such as China, where the company had been working aggressively in Shanghai and Beijing for years to receive clearance to build arenas and stadiums. The company’s CEO Tim Leiweke put it as follows: “Suddenly, we’re known as the company that owns the team that David Beckham is going to play for, so our world changed”. In the months following the announcement, the additional terms of Beckham’s contract became public knowledge. 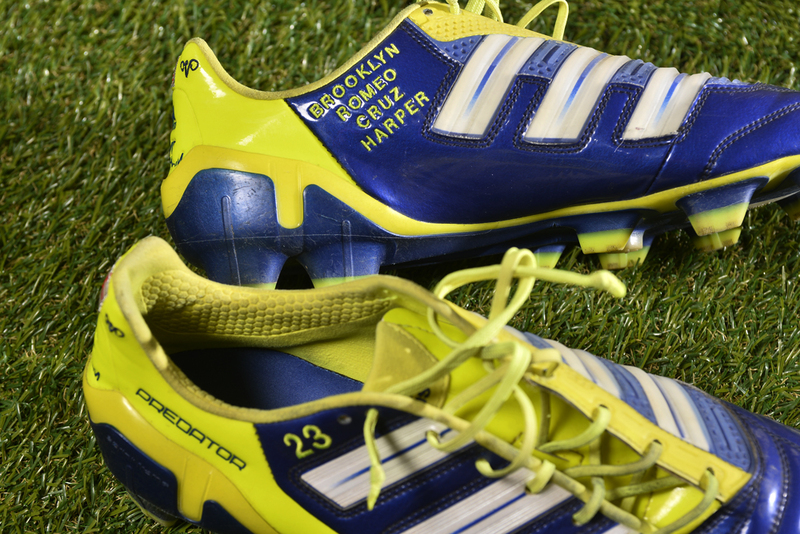 One unique contract provision was giving him the option of buying an MLS expansion franchise in any market except New York City at the fixed price of $25 million whenever he stopped playing in the league – an allowance that the league’s owners had never given to a player before. Another provision was the opt-out clause after the 2009 season, meaning that should he decide so, Beckham was free to leave the club after completing year three of his five-year contract. In April 2007, he and wife Victoria bought an $18.2 million home on San Ysidro Drive in Beverly Hills. Beckham’s contract with LA Galaxy took effect on 11 July, and on 13 July, the famous Englishman was officially unveiled as a Galaxy player at the Home Depot Center to much fanfare and world media interest in front of more than 5,000 gathered fans and some 700 accredited media members. Beckham chose to wear number 23. It was announced that Galaxy jersey sales had already reached a record figure of over 250,000 prior to this formal introduction. In parallel, Beckham’s handlers at 19 Entertainment succeeded in putting together an unprecedented US media rollout designed to expand his carefully crafted personal brand in America. 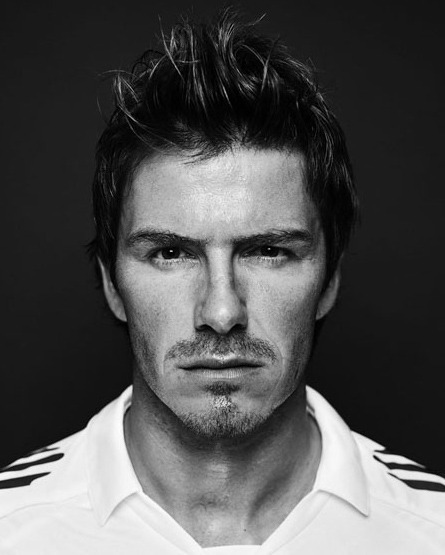 He made the cover of Sports Illustrated, a few weeks earlier Adidas launched the extensive 13-part ad campaign “Fútbol meets Football” starring Beckham and NFL running back Reggie Bush, and W magazine published a racy photo spread featuring David and wife Victoria photographed by Steven Klein. Meanwhile, ESPN sports network was running a promotional campaign and it also agreed to air David Beckham: New Beginnings documentary produced by 19 Entertainment before the friendly match versus Chelsea, which was expected to be Beckham’s American debut. In addition to popularising soccer, Beckham’s arrival was used as platform for entertainment industry endeavours. Since both Beckham’s and his wife’s often overlapping careers were handled by 19 Entertainment, which is owned by Simon Fuller, who in turn has a business relationship with the Creative Artists Agency (CAA), one of Hollywood’s most powerful talent agencies, it was important also for CAA that the Beckhams made as big an impact as possible upon their arrival in the United States. On 16 July, CAA had hosted a welcoming bash for David at its new eight-storey, $400 million headquarters in Century City with CAA employees reportedly instructed beforehand to line the staircase and clap for Beckham upon his arrival. That night Victoria’s reality show prime-time special Victoria Beckham: Coming to America aired on NBC, drawing negative reviews in the press and poor viewership ratings. On Saturday afternoon, 21 July, despite still nursing the injured left ankle that he picked up a month earlier during the final match of La Liga’s season, Beckham made his Galaxy debut, coming on for Alan Gordon in the 78th minute of a 0–1 friendly loss to Chelsea as part of the World Series of Soccer. With a capacity crowd, along with a long Hollywood celebrity list featuring Tom Cruise, Katie Holmes, Eva Longoria, Governor of California Arnold Schwarzenegger, and Drew Carey among others, present at the Home Depot Center, the match was broadcast live on ESPN’s main network. However, the proceedings on the field of play took a back seat to the Beckham spectacle, and despite the presence of worldwide football stars such as Andriy Shevchenko, Didier Drogba, Michael Ballack, and Frank Lampard, the US television cameras were firmly focused on Beckham who spent most of the match on the bench. 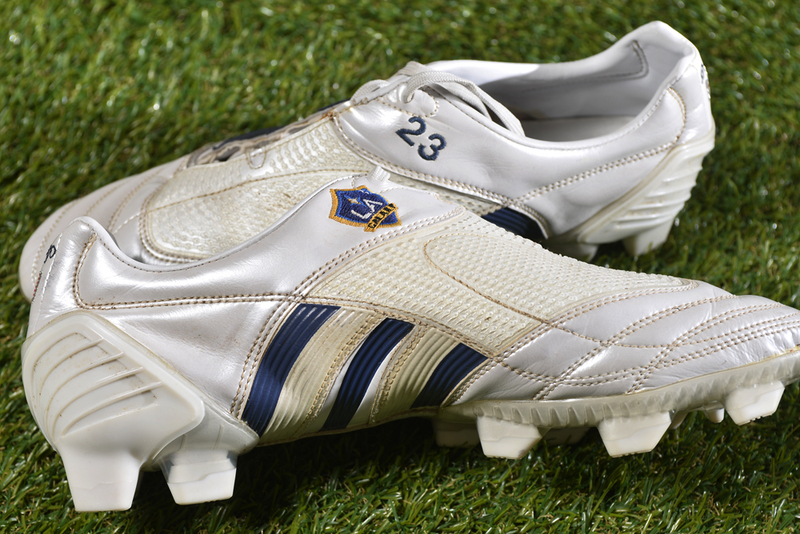 The match’s added time featured a scare for already injured Beckham when he got tackled by Steve Sidwell whose cleats struck Beckham’s right foot, sending him airborne before he crumpled hard to the ground. 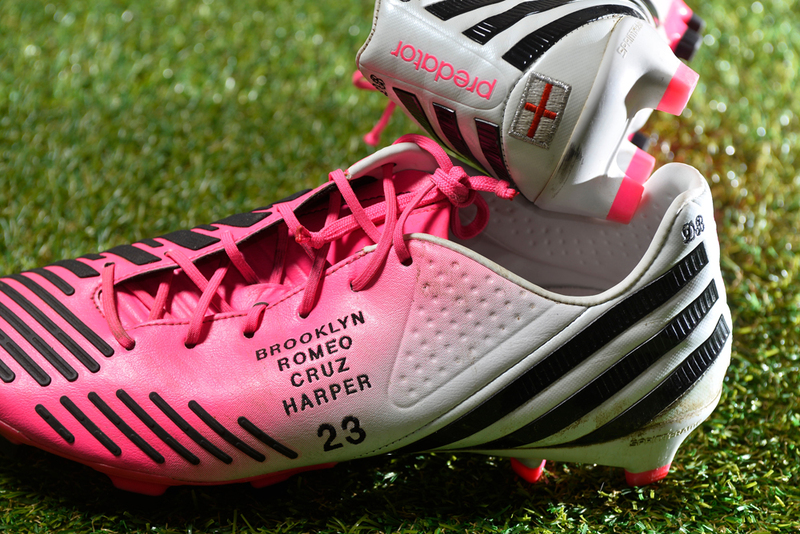 Though the existing injury was not aggravated too much, Beckham’s recovery process was set back by about a week. ESPN’s presentation of Beckham’s debut earned a 1.0 TV rating, meaning it was seen in an average of 947,000 television homes in the US – a disappointing figure given the national media buzz and two weeks of constant promotion by ESPN. As far as sporting events that were televised that weekend in the United States, Beckham’s much publicised debut drew fewer TV viewers than British Open golf tournament, a regular-season national baseball game, and even the Indy Racing League’s Honda 200 motor race.The day after the made-for-TV debut was reserved for the welcoming party for the Beckhams at LA’s Museum of Contemporary Art, formally billed as being hosted by Tom Cruise, Katie Holmes, Will Smith, and Jada Pinkett Smith though in actuality a CAA-organized event. Attended by many Hollywood A-listers, the lavish bash was big news in the US celebrity tabloid media, including daily entertainment TV magazines such as Entertainment Tonight and Access Hollywood. On 11 January 2007, Beckham announced that he had signed a five-year deal to play for the L.A. Galaxy beginning 1 July 2007. A month after the conclusion of Beckham’s Real career, Forbes magazine reported that he had been the party primarily responsible for the team’s huge increase in merchandise sales, a total reported to top US$600 million during Beckham’s four years at the club. 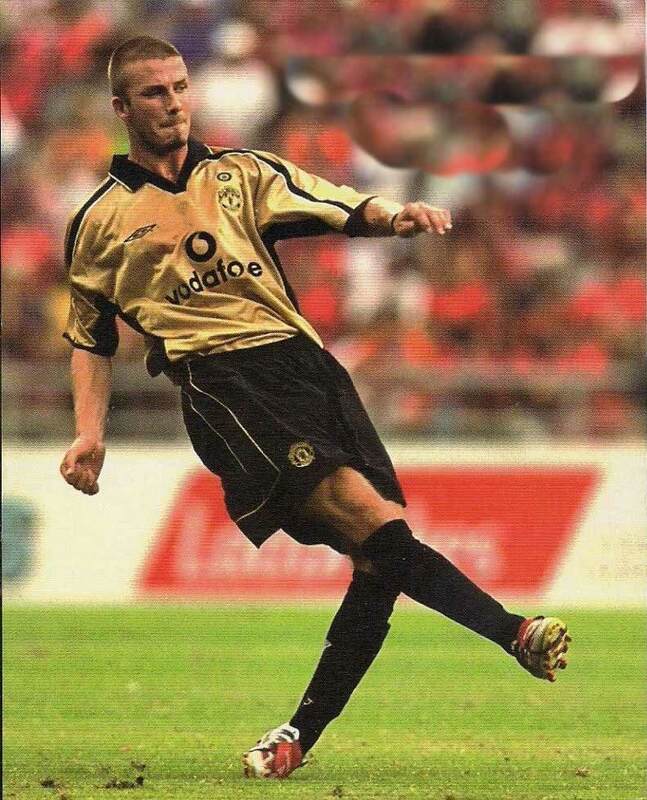 David Beckham became the target of criticism and abuse after the World Cup 1998, including the hanging of an effigy outside a London pub, and the Daily Mirror printing a dartboard with a picture of him centered on the bullseye. Beckham also received death threats after the World Cup. 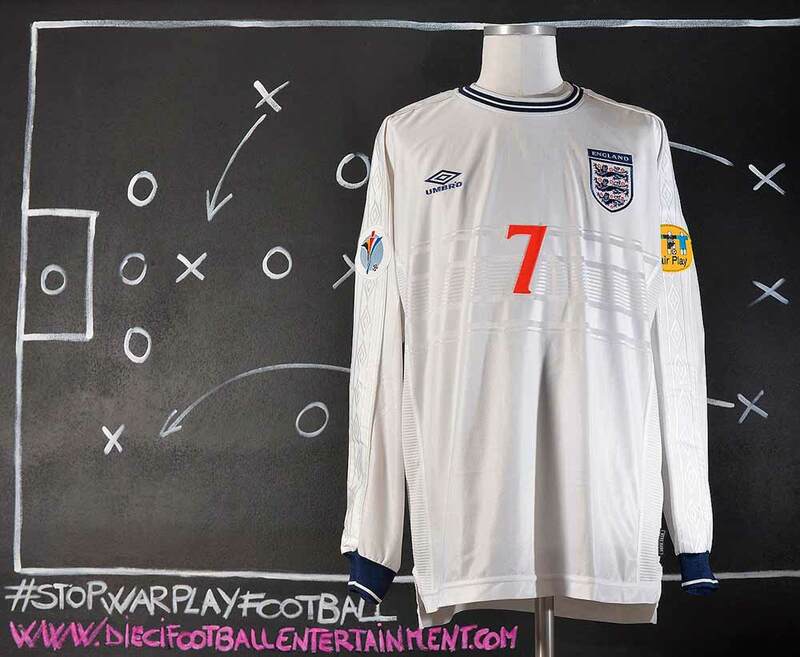 The abuse that Beckham was receiving from English supporters peaked during England’s 3–2 defeat by Portugal in Euro 2000, a match where Beckham set up two goals, when a group of England supporters taunted him throughout the match. 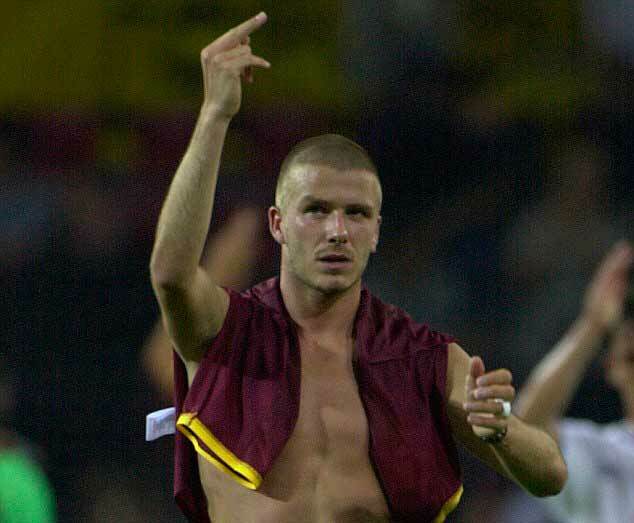 Beckham responded by raising his middle finger and, while the gesture attracted some criticism, many of the newspapers that had previously encouraged his vilification asked their readers to stop abusing him. 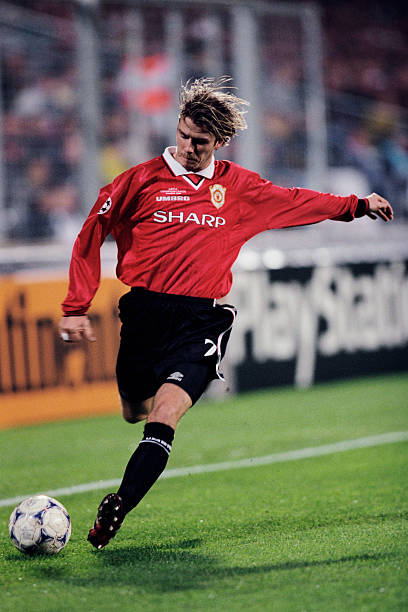 On 17 August 1996 (the first day of the Premier League season), Beckham became something of a household name when he scored a spectacular goal in a match against Wimbledon. 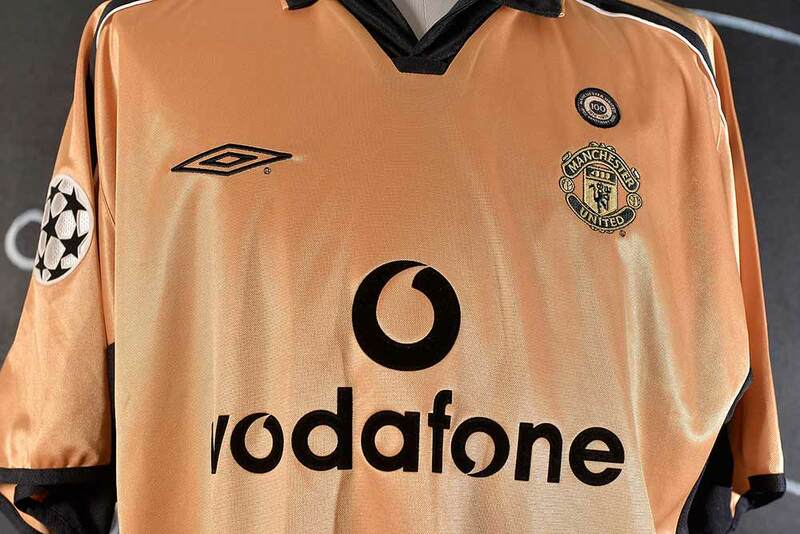 With United leading 2–0, Beckham noticed that Wimbledon’s goalkeeper Neil Sullivan was standing a long way out of his goal, and hit a shot from the halfway line that floated over the goalkeeper and into the net. 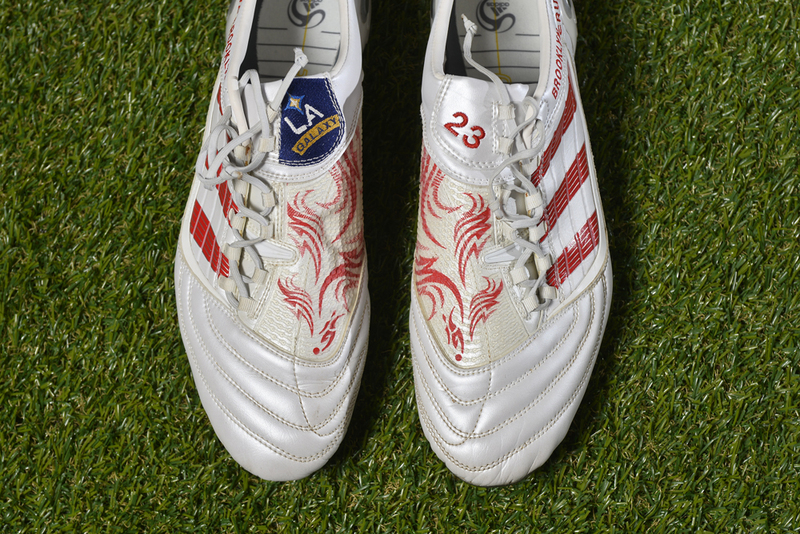 When Beckham scored his famous goal, he did so in Adidas Predator shoes custom-made for Charlie Miller (“Charlie” embroidered on boots), which had been given to Beckham by mistake. In 2008, Beckham’s success in the England national team under Fabio Capello led to speculation that he might return to Europe to retain match fitness for the World Cup qualifying matches in 2009. 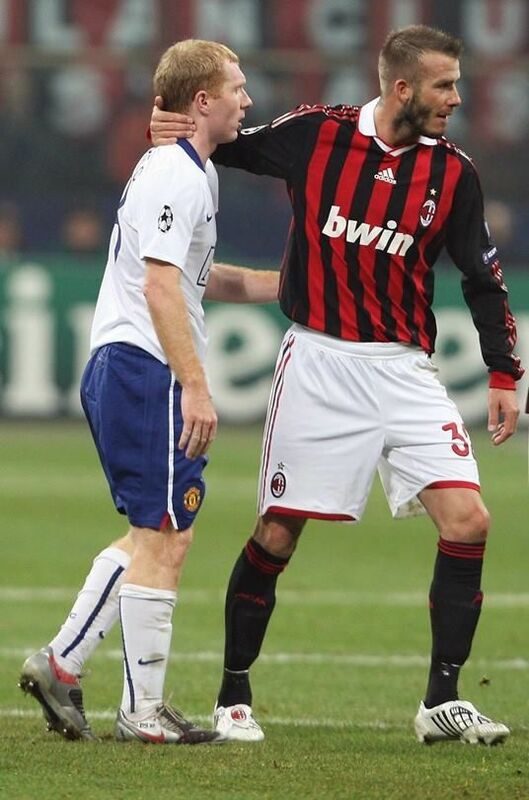 On 30 October 2008, Milan announced that Beckham was to join them on loan from 7 January 2009. Despite this and other speculation, Beckham made it clear that the move in no way signalled his intent to leave MLS and announced his intent to return to the Galaxy in time for the start of the 2009 season in March. Many at Milan both within and outside of the club expressed serious reservations about the transfer, with it considered by some players no more than a marketing move. Beckham was unveiled at Milan’s training facility by the club’s chief executive Adriano Galliani on 20 December 2008. After his physical, Beckham was reportedly told by a club doctor that he believed he could continue playing football for another five years, up to the age of 38. The day after his unveiling, Beckham was brought to San Siro where he got introduced to home fans by walking out on the pitch before the league match versus Udinese and proclaiming “Forza Milan” over the public address system. Afterwards, he and wife Victoria watched from a luxury box as Milan won 5–1. A noticeably older team, Ancelotti-coached Milan was proving a good fit for the 33-year-old Englishman. He scored his first goal in Serie A for Milan in a 4–1 victory over Bologna on 25 January, his third appearance for the club. Though Beckham was expected to return to Los Angeles in March, after impressing at the Italian club, scoring two goals in his first four matches and assisting on several more, rumours began to swirl that Beckham would stay in Milan, with the Italian club reportedly offering to pay a multimillion-dollar fee for him. The rumours were confirmed on 4 February, when Beckham stated that he was seeking a permanent transfer to Milan in a bid to sustain his England career through the 2010 World Cup. 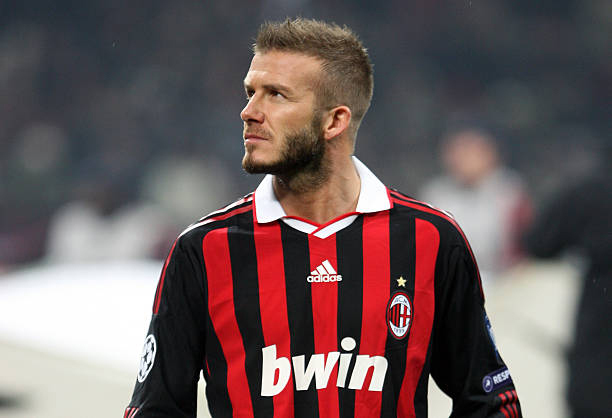 Milan, however, failed to match Galaxy’s valuation of Beckham, in the US$10–15 million range. Still, negotiations continued during a month of speculation. On 2 March, the Los Angeles Times reported that Beckham’s loan had been extended through mid-July. This was later confirmed by Beckham, revealing what was described as a unique “timeshare” deal, in which Beckham would play with L.A. from mid-July till the end of the 2009 MLS season. After his return from Milan, many LA fans showed dislike and anger towards him as he missed the first half of the season and several held up signs saying “Go home fraud”, and “Part-time player”. 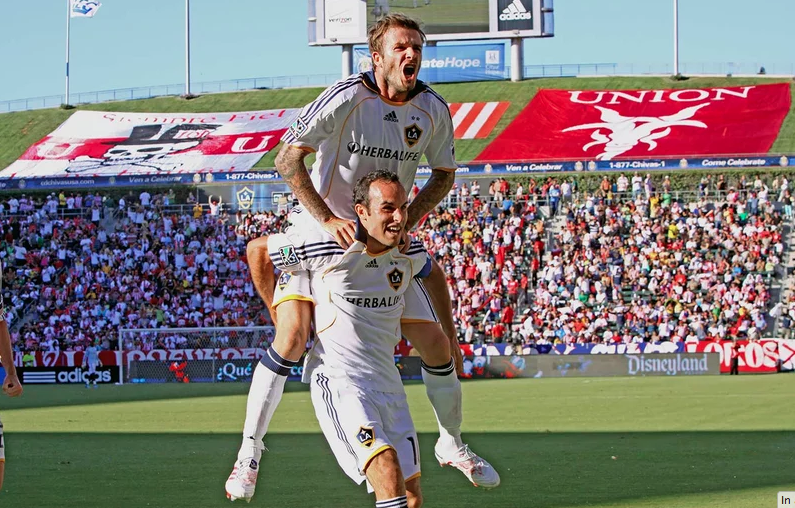 The Galaxy, however, had a much more successful season than in previous years, rising from third to first in the Western Conference during Beckham’s time with them. He remained a key part of the squad which saw Galaxy win the 2009 Western Conference final after a 2–0 overtime victory over the Houston Dynamo. 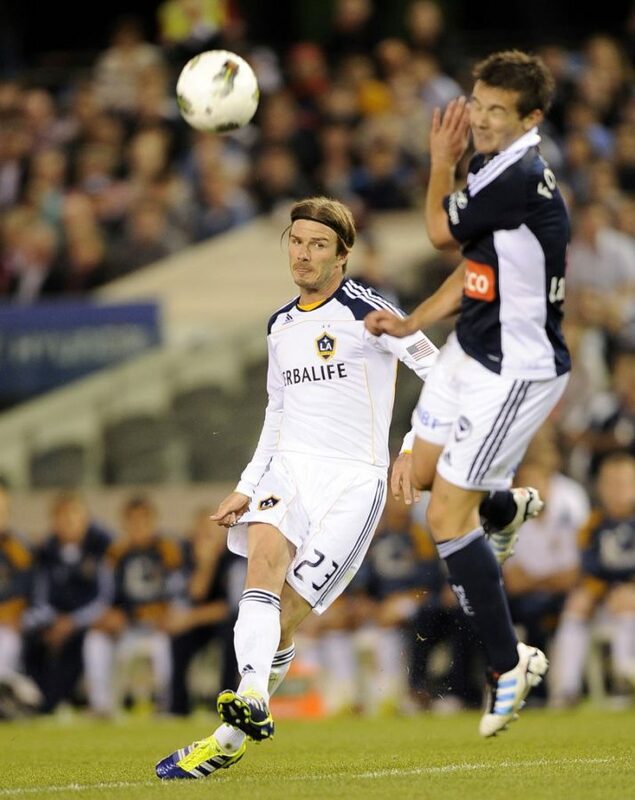 In the final on 22 November 2009, the Galaxy lost to Real Salt Lake by 5–4 in a penalty shoot-out after a 1–1 draw. 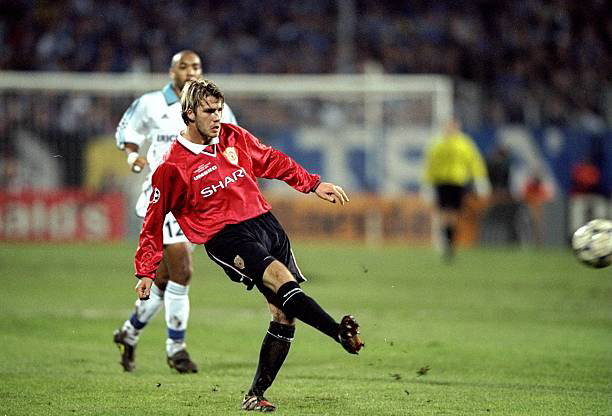 Beckham also scored in the shootout. The 2001-2002 season was the 100th team’s Anniversary. 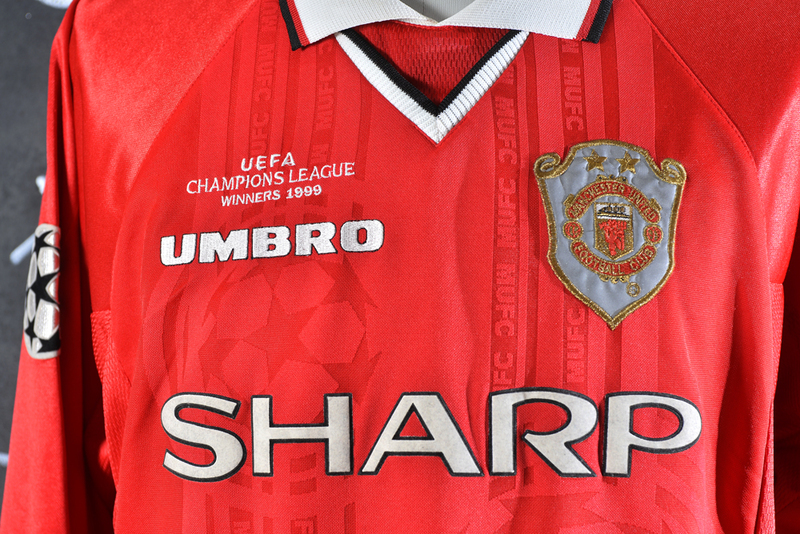 To celebrate it, two special shirts with a special 100th Anniversary patch on chest were made by Umbro. The first one was white and the second one was golden. The curious thing was that on sale there weren’t two versions available but one shirt only with the two colors on the two inside out of the shirt. 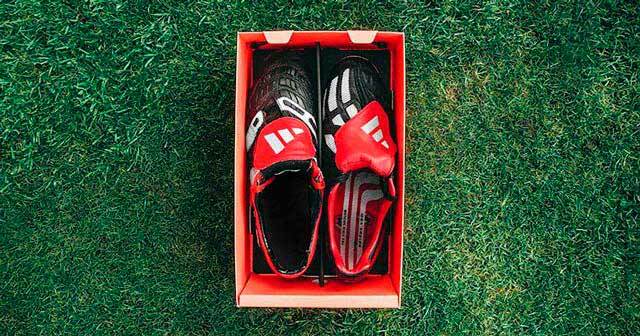 During his playing career (which ended in May 2013), Beckham generated an estimated £1 billion in shirt and boot sales. 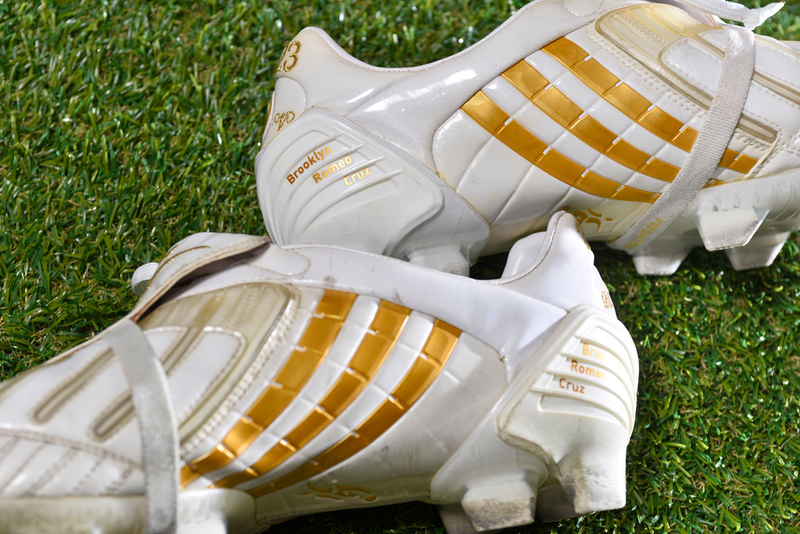 In 2006, Lloyd’s of London insured his legs for £100m, at the time he was playing for Real Madrid. In March 2015 Beckham had the third highest social media rank in the world among sportspeople, behind Cristiano Ronaldo and Lionel Messi, with over 52 million Facebook fans. He had a 10-year collaboration with Pepsi Co. that expired in 2009 and he shot for them some of the funniest football-themed advertisings ever. Beckham’s many endorsement deals make him one of the most recognizable athletes throughout the world. 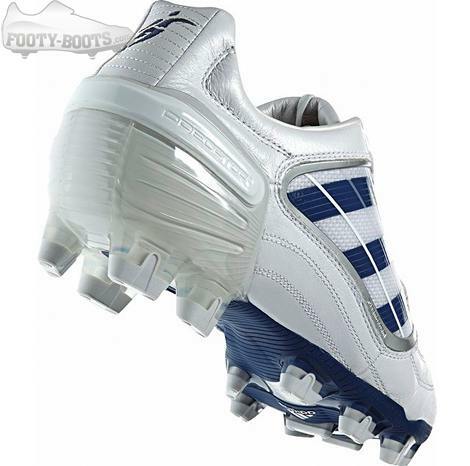 Having worn Adidas football boots from the start of his career (notably Adidas Predator), in 2003 he signed a $160 million lifetime contract with Adidas, earning nearly half the money upfront, and will continue to earn percentages of profits on all of his branded Adidas products. 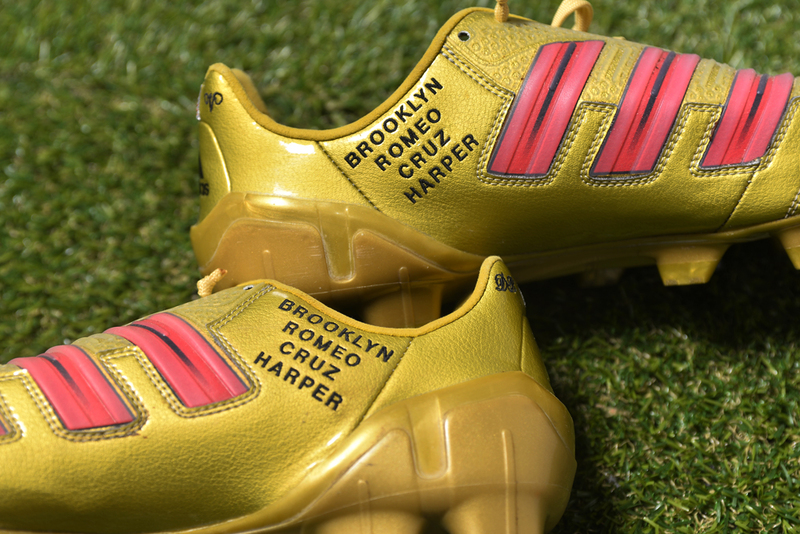 In 2017 Beckham and adidas team up to relaunch Predator Manias. The launch coincides with the player’s 42nd birthday. 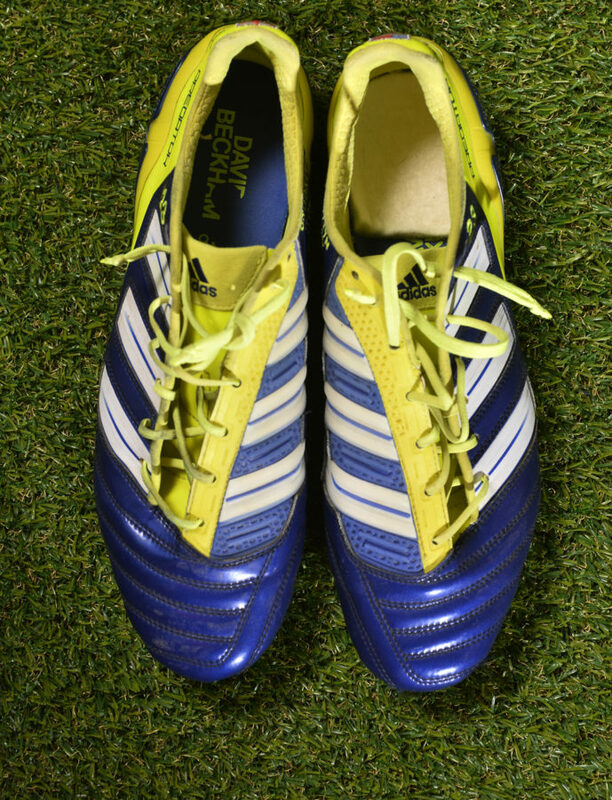 Recreating the iconic adverts of the late 1990s, former Manchester United star David Beckham posed with the new Predator Manias to celebrate the re-launch of a classic. 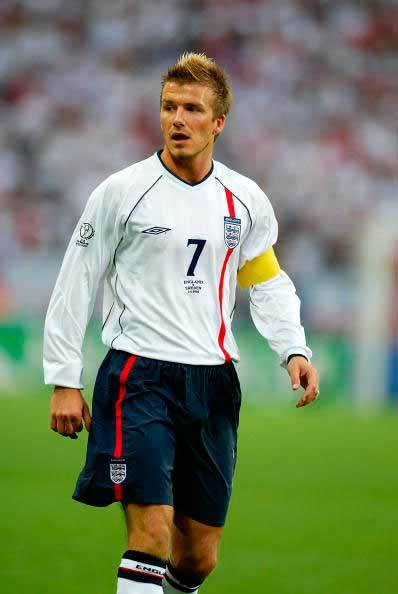 Beckham played against Sweden, during the Fifa World Cup 2002, his 50th Cap with England National Team. To celebrate this event a special shirt was worn by the player with “50th Cap”on the bottom of the shirt. This shirt was given after the match to a Sweden Team’s member and that’s where it comes from. 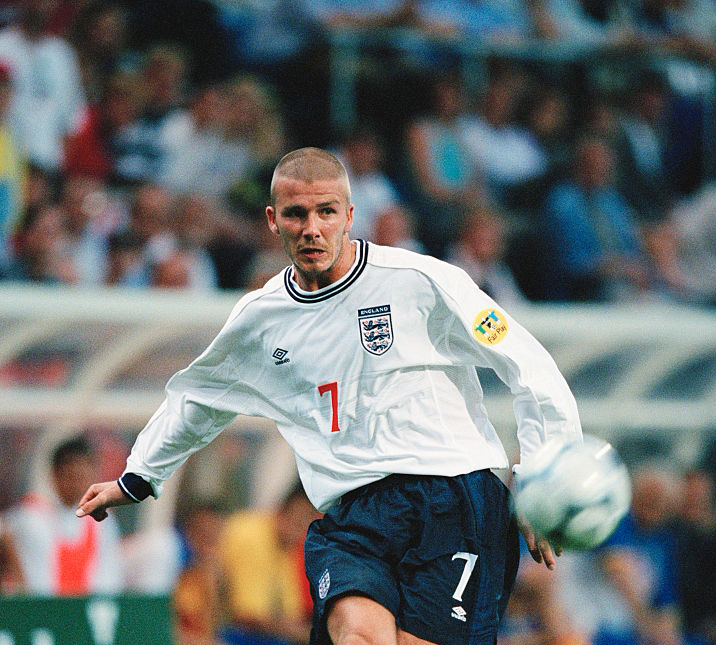 Beckham played a major role in helping England qualify for the 2002 FIFA World Cup, starring in an impressive 5–1 victory over Germany in Munich. 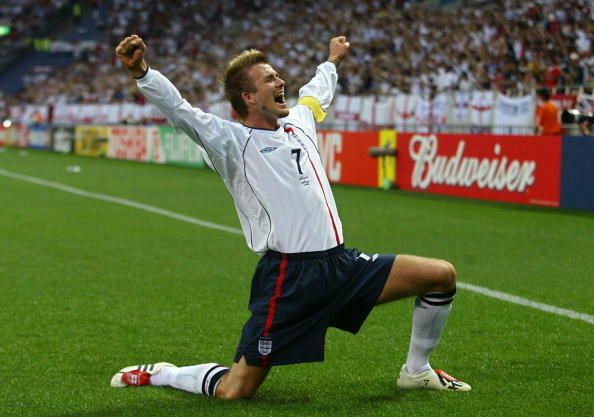 The final step in Beckham’s conversion from villain to national hero happened in England’s final qualifying game against Greece on 6 October 2001. England needed to win or draw the match to qualify outright for the World Cup, but were losing 2–1 with little time remaining. When Teddy Sheringham was fouled eight yards outside the Greek penalty area, England were awarded a free-kick and Beckham ensured England’s qualification with a curling strike of the kind that had become his trademark. Beckham was voted the BBC Sports Personality of the Year for 2001, and finished runner-up, to Luís Figo of Portugal, for the FIFA World Player of the Year award. 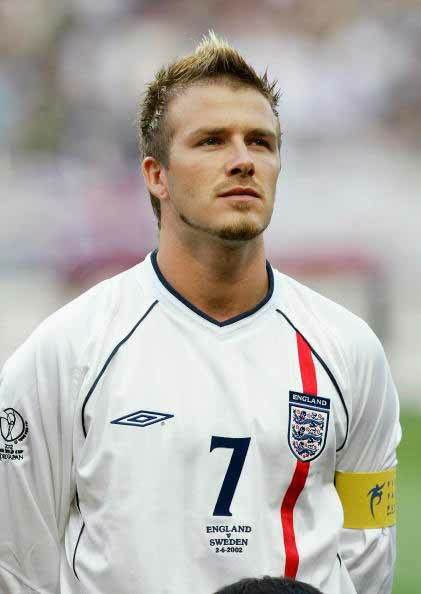 Beckham was partially fit by the time of the 2002 World Cup held in Japan and South Korea, and played in the first match against Sweden. After the events of four years earlier, Beckham achieved a degree of revenge over Argentina by scoring the winning goal with a penalty, causing Argentina to fail to qualify for the knockout stage. England defeated Denmark in the second round with Beckham providing an assist in a 3–0 win. England were knocked out in the quarter-finals by eventual winners Brazil after Ronaldinho scored the winner. Beckham captained England 59 times, the fourth highest after Bobby Moore and Billy Wright both with 90, and Bryan Robson with 65. With his free kick goal against Ecuador in the second round of the 2006 World Cup, Beckham gained membership into two of football’s exclusive clubs: he became the only English player – and the 21st player in the world – to score in three World Cups; Real Madrid teammate Raúl also achieved this feat a few days earlier. It also made him only the fifth player in World Cup history to score twice from a direct free kick; the other four were Pelé, Roberto Rivelino, Teófilo Cubillas, and Bernard Genghini (Beckham had previously scored this way against Colombia in the first round of the 1998 World Cup). All three goals were against South American teams (Colombia, Argentina and Ecuador) and from set pieces (the two aforementioned free kicks and a penalty against Argentina). On 11 September 2010, after recovering from his Achilles tendon injury, Beckham returned to the game as a substitute in the 70th minute in the Galaxy’s 3–1 win over Columbus Crew. 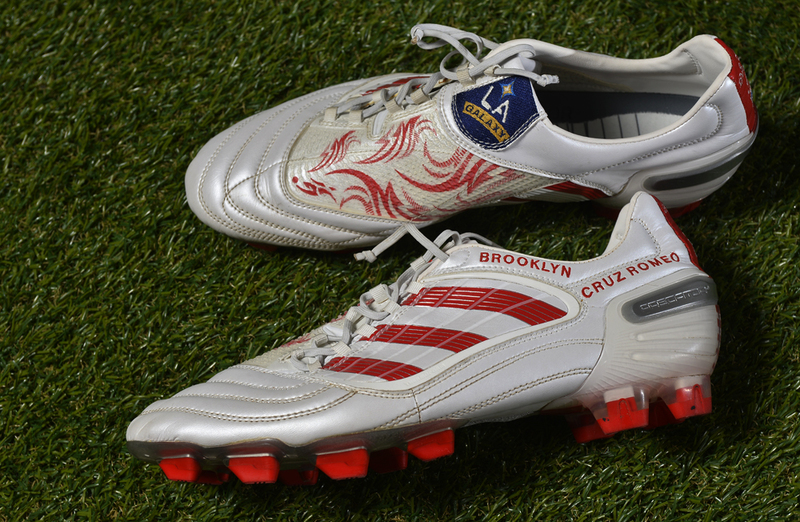 On 4 October, Beckham scored a trademark free kick in a 2–1 win over Chivas USA to mark his first goal in 2010. On 24 October, Beckham scored his second goal of the season in the Galaxy’s 2–1 win over FC Dallas which secured them their second successive Western Conference title and first MLS Supporters’ Shield since 2002. During January and February 2011, ahead of the 2011 MLS season, Beckham trained with Tottenham Hotspur. Rumours in the media claimed that the club were in talks with the Galaxy to sign the player on loan, but, according to Spurs manager Harry Redknapp, the move was blocked by Galaxy, who wanted a full final season from their number 23. As a result, he ended up only training with the club as he had done with Arsenal three years earlier. With Beckham playing in the centre of midfield, the Galaxy won the 2011 MLS cup. 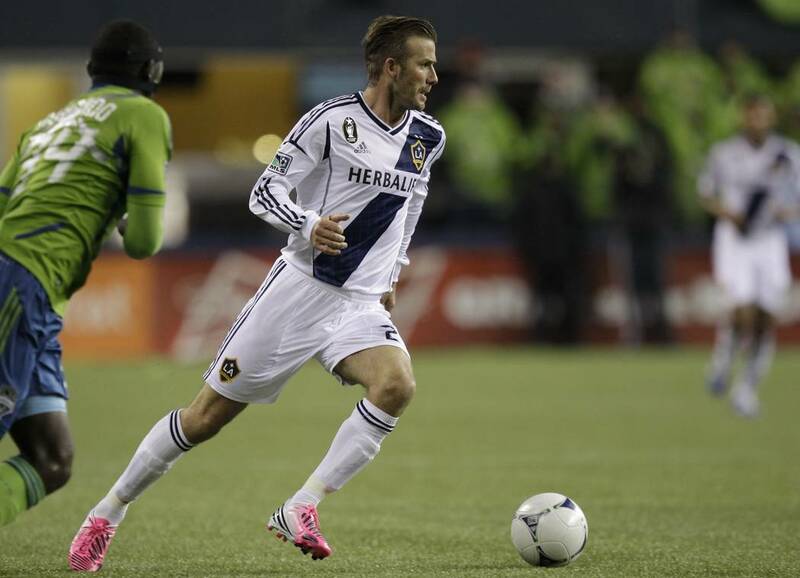 On 15 May, Beckham scored his first goal of the season for the Galaxy from a 30-yard free kick, in a 4–1 victory over Sporting Kansas City. 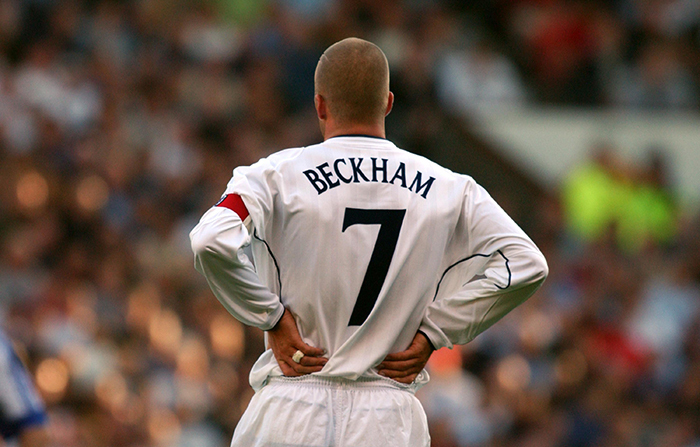 On 9 July, Beckham scored directly from a corner in a 2–1 win over Chicago Fire, repeating a feat he also achieved while playing for Preston North End. After having his best season with the Galaxy to date and finishing second in the league in assists, Beckham finished his fifth MLS season on a high. On 20 November 2011, he joined an elite group of players to have won three league titles in three different countries, when Los Angeles won their third MLS Cup against the Houston Dynamo, winning 1–0 on a goal by captain Landon Donovan, with assists from Beckham and fellow designated player Robbie Keane. 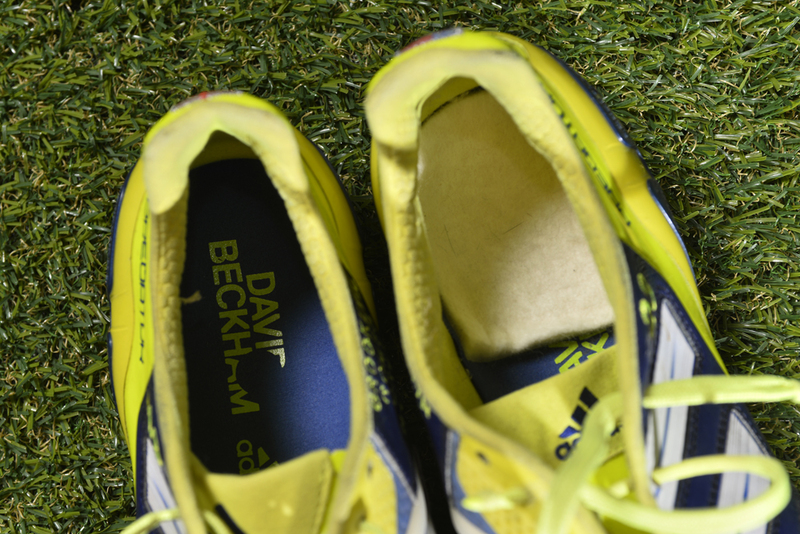 Beckham while he returned from the achilles tendon injury had to play with a soft inside heel’s cushion as you can see from the picture beside. While the injury occured doctors were not sure that he could get back to play as he used to since tendon injury isn’t always an easy injury. On may 24th 2011 David Beckham donned a Manchester United shirt for the first time since 2003 last night in a testimonial match for best friend Gary Neville. Playing at Old Trafford, Beckham had flown in specially from Los Angeles for the game and appeared alongside several other former United players for the friendly against Italian team Juventus. And there was drama for the LA Galaxy player midway through the match when he had to challenge a young fan who ran on to the pitch. Following the 2011 season, in which the Galaxy won their second consecutive Supporters’ Shield, having the second most points in MLS history, Beckham’s five-year contract with the Galaxy expired on 31 December 2011. Despite being 36, he stated that he did not intend to retire. Beckham was heavily linked with Paris Saint-Germain, but on 18 January 2012, Galaxy announced Beckham had signed a new two-year contract to remain in Los Angeles. 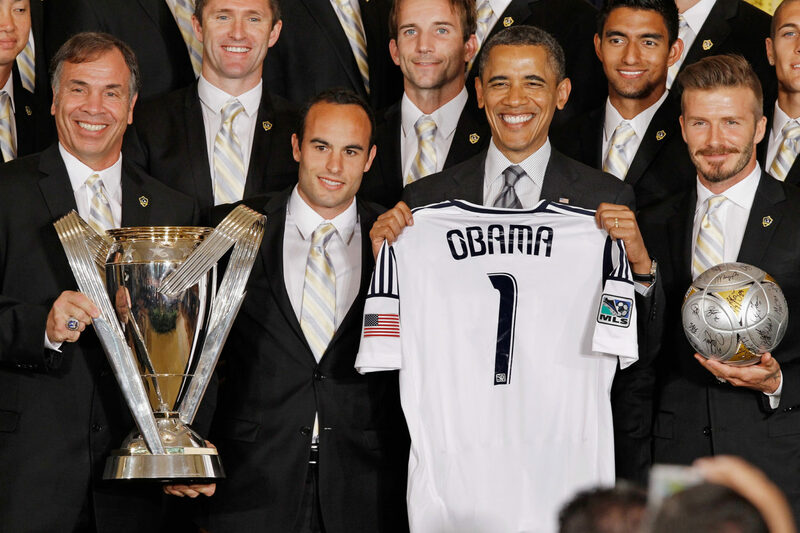 In May 2012, Beckham and his victorious teammates were received by President of the United States Barack Obama at the White House. Beckham helped the Galaxy to a fourth-place finish in the MLS Western Conference 2012 regular season with Beckham scoring seven goals and adding nine assists. The Galaxy defeated Vancouver Whitecaps FC, the San Jose Earthquakes, Seattle Sounders FC and then 3–1 over the Houston Dynamo to retain the MLS Cup. He was subbed off in the 89th minute for Marcelo Sarvas and was given a standing ovation at their home venue. 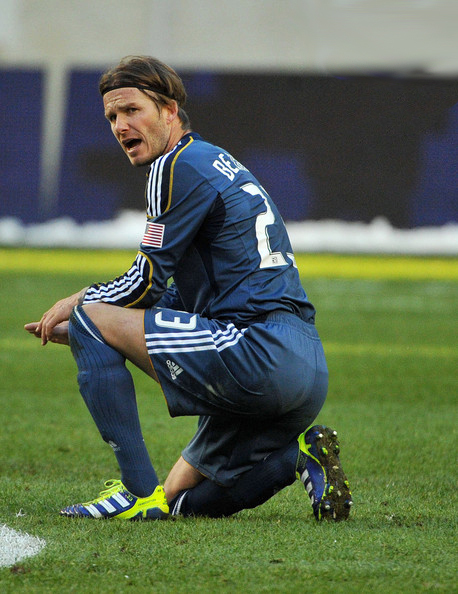 Beckham had earlier announced that the 2012 MLS Cup Final would be his final game with the Galaxy despite having another year remaining on his contract. On 31 January 2013, ahead of the transfer deadline it was announced that Beckham would be undergoing a medical with Paris Saint-Germain ahead of a potential move to the Ligue 1 side. 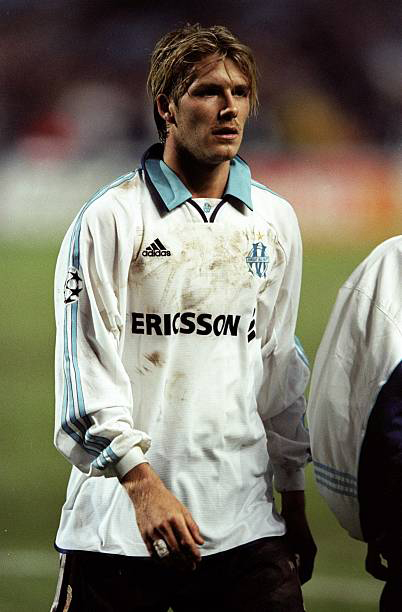 Beckham signed a five-month deal with the club later that afternoon and confirmed that his entire salary during his time in Paris would be donated to a local children’s charity. His PSG debut came on 24 February 2013, when he came off the bench in the 76th minute in a Ligue 1 home match against Marseille. This made him the 400th player in the history of the club. On 12 May 2013, Beckham won a fourth different top flight winners’ medal after PSG beat Lyon 1–0 to claim the Ligue 1 title. On 16 May 2013, Beckham announced that he would retire from professional football at the end of that year’s French football season. 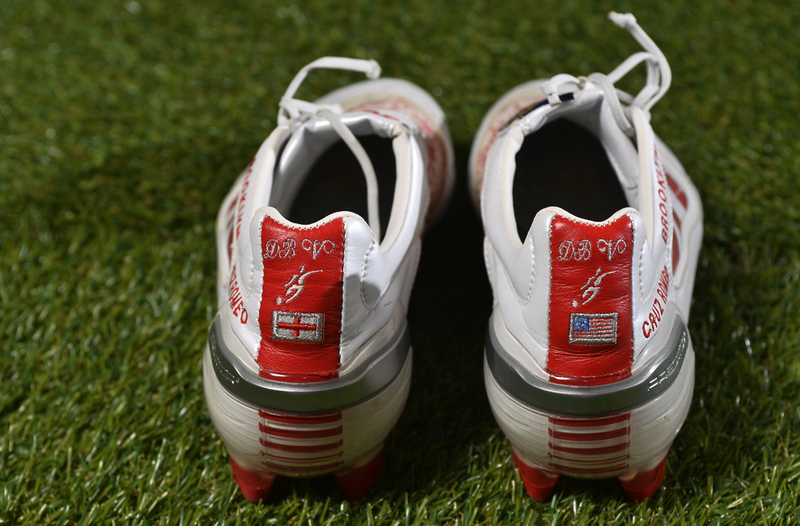 Following his decision to retire at the end of the 2012–13 season, Beckham was given specially designed boots in the colours of the Union Jack to wear in his final game. 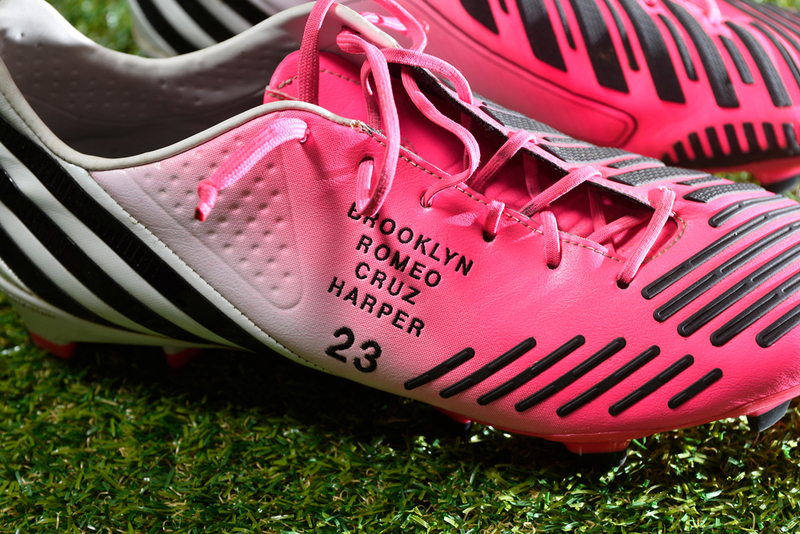 These boots had the names of his wife and children stitched on to them. On 18 May 2013, Beckham was made captain in his final home game against Brest. In this game, Beckham assisted a goal by Matuidi from a corner. Beckham was subbed after 80 minutes, receiving hugs from his fellow players and manager, as well as a standing ovation from fans. PSG went on to win the game 3–1. On 5 February 2014, MLS announced that Beckham had exercised his option to buy a MLS expansion team for $25 million, which he had received as part of the contract he signed with the LA Galaxy in 2007. 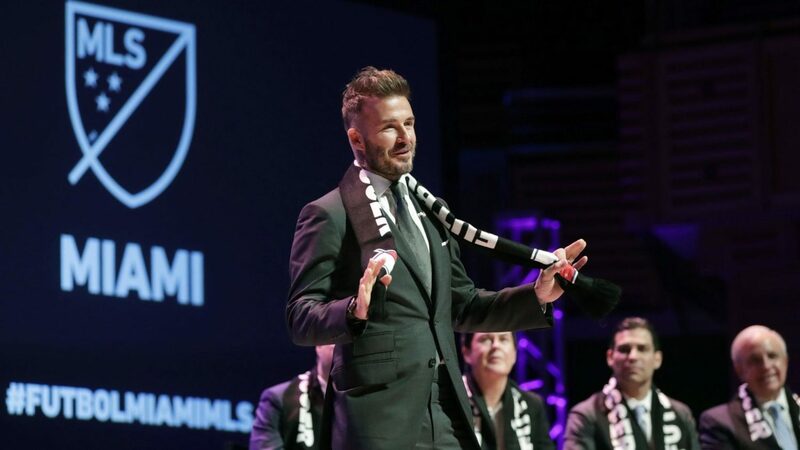 The ownership group, led by Beckham, originally hoped the Miami-based team would begin play in 2016 or 2017. After delays getting a stadium deal completed, MLS announced in January 2018 that the team had been approved and would likely begin play in 2020.